The Wave Y is a low-range smartphone in the trio of Bada 2.0 OS phones which features a 3.2" screen TFT LCD screen with HVGA resolution powered by an 832 MHz CPU. It has 150MB built-in memory which can be expandable upto 32GB. The Wave Y sports a 2MP rear camera which is able to capture videos @30fps. Network Connectivity option includes Wi-Fi, NFC(optional), Bluetooth 3.0, GPS. Expansion option includes microSD card slot, 3.5 mm jack. Sensor option includes accelerometer and proximity sensor. It comes equipped with a 1200 mAh battery. The Samsung Samsung Wave Y has a dimension of 4.3"x 2.3"x 0.5 inches and weighs 102.4gms. 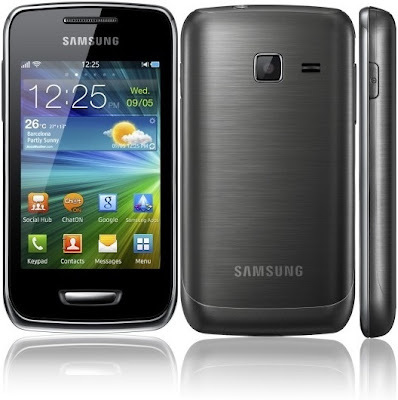 Tags: Samsung Wave Y, Wave Y, bada 2.0 os phone, samsung wave y features, samsung wave y specifications, samsung wave y review, samsung wave y details, samsung wave y availability, samsung wave y specs, samsung wave y images, samsung wave y pics, samsung wave y pictures, samsung wave y imgs, samsung wave y price,samsung wave y Network options, samsung wave y Expansion options, samsung wave y multimedia features, samsung wave y Sensor options, smartphones.